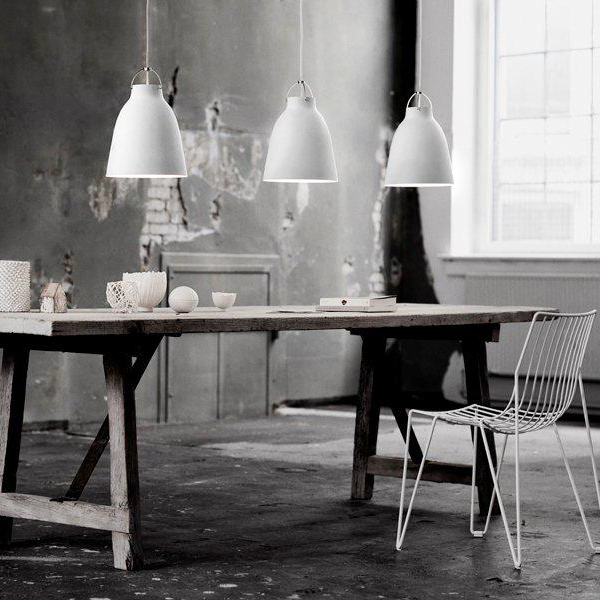 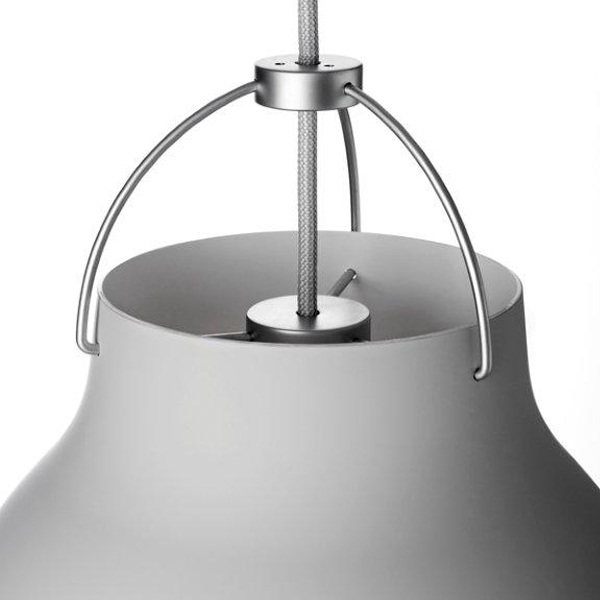 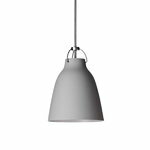 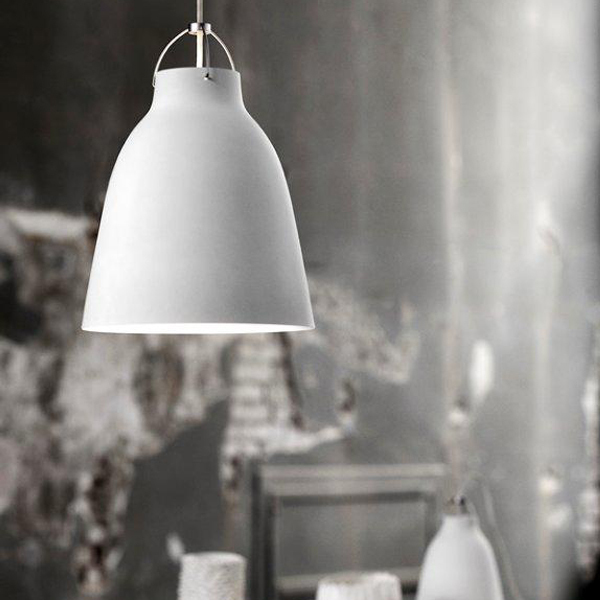 Caravaggio P2 pendant by Fritz Hansen charms with the elegance of light grey, matt-lacquered shade. Designed by Cecilie Manz, Caravaggio P1 lamp features a deep shade which prevents glare, and an opening at the top, allowing the light to cast also upwards. 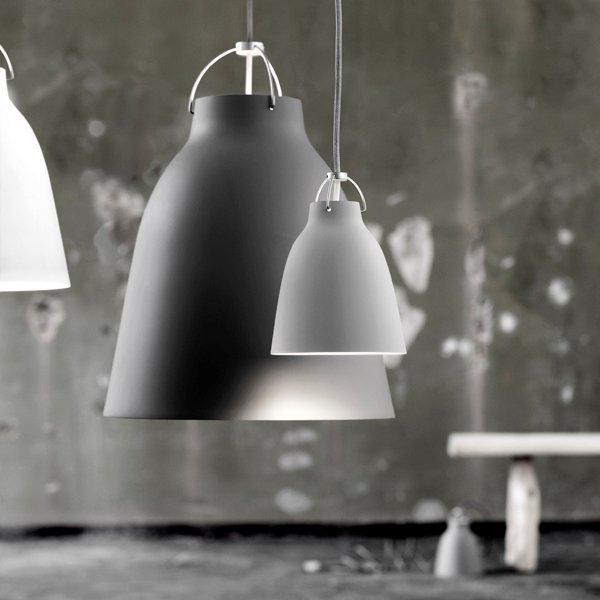 The bold but refined Caravaggio P1 pendants look striking both alone and in groups.